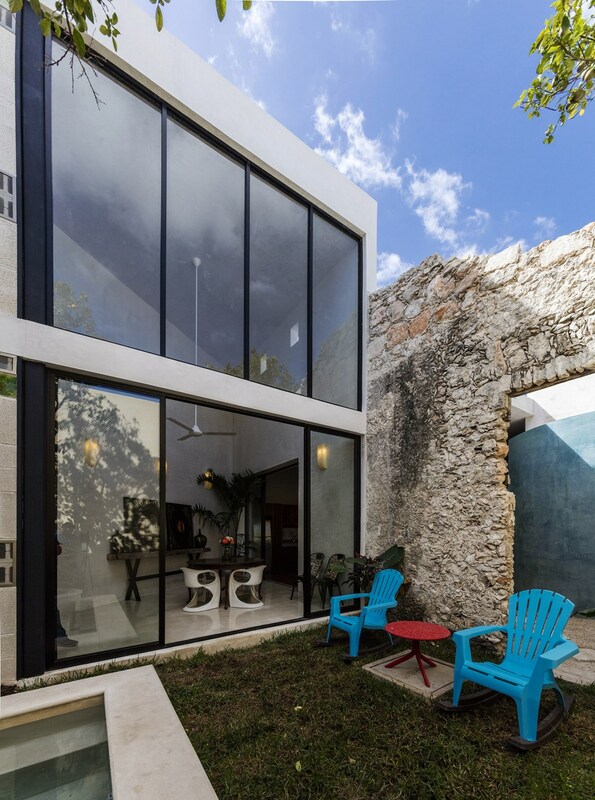 RC 80 House is a project designed by Taller Estilo Arquitectura. 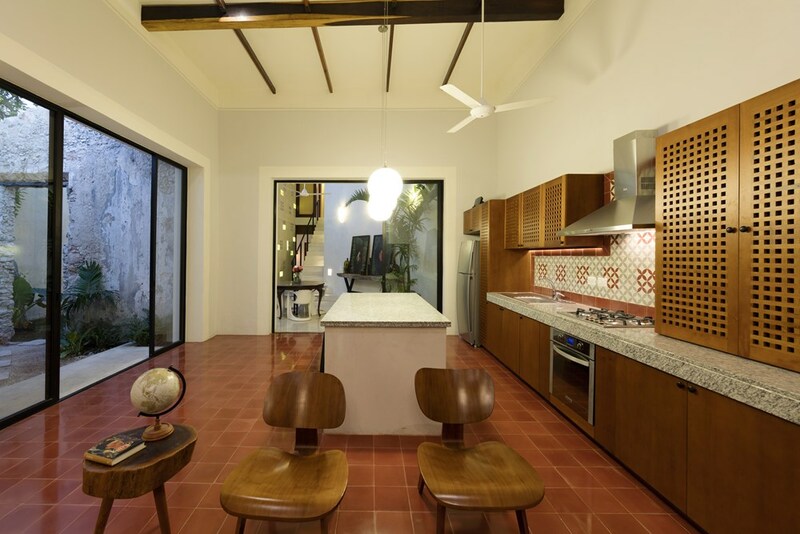 The historic background of the building and the cultural and social value were the characteristics that inspired us for the interpretation and intervention of Casa RC 80. An irregular lot and some pre-existing elements give this home a unique character. The arrangement of spaces allows us to create a harmonious relation between the new elements and preexisting structures; this develops a spatial and visual continuity between them. The existing building contains an entrance hall, garage, living room and kitchen. A double height window in the living room takes advantage of the natural ventilation and lighting, and also acts as a link between the old and new elements. 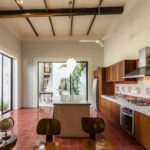 The walls, which are mostly covered in white cement create a perfect canvas for artwork, and cement floors give character to each area. Wood in a natural finish brings warmth; and aluminum and glass create a close relationship between the interior and exterior. The staircase, an element of transition between the public and private area is loaded with protagonism where the apparent block lattice with handmade colored crystals give this transitional space an artistic character, during the day, sunlight makes it an ever changing element, and during the night lamps bathe the interior of the house with color. The project in a broad way was conceived based on functionality, contemporaneity and simplicity. The main task was to rescue the historic context of the building without competing with it, enhancing spatial and aesthetic qualities. Fixed elements were design in polished white concrete and decorated pasta tile inserts to complement with furniture specially designed for a specific use and function. In the exterior area, yellow and blue pigments were used to color the cement. 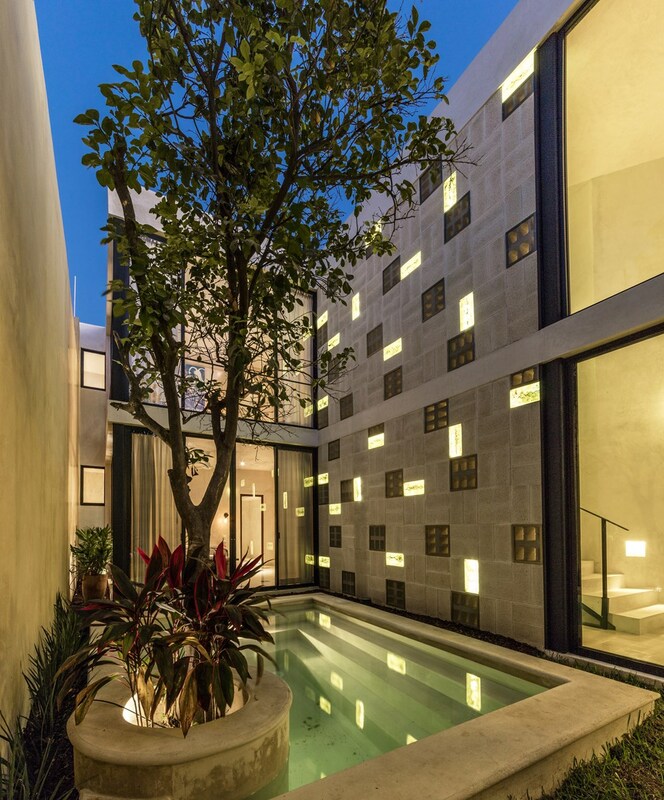 The pool; stepped, and made in white concrete was adapted to the preexisting vegetation as in the case of the orange tree inside the pool and another tree in the perimeter wall. A rest area, whose design seeks an internal balance through simplicity and strength of pure lines, this being what provides the natural ventilation to spaces around it, and in turn transforms its context with light throughout the day. This entry was posted in bathroom, bedroom, house, kitchen, living, outdoor, pool and tagged bathroom, bedroom, house, house idea, houseidea, kitchen, living, myhouseidea, outdoor, pool, RC 80 House, Taller Estilo Arquitectura, terrace, villa on July 7, 2018 by admin.